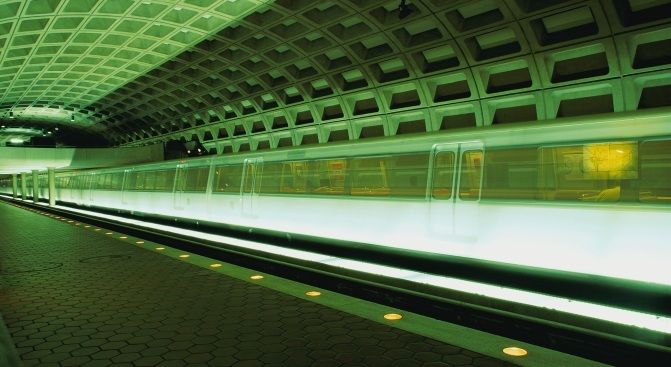 WASHINGTON -- Riding Metro's rails isn't a comfortable experience. Public transit never is. Since the multiple fatal June 22 train crash, it's only gotten worse. Manual operation means more abrupt stops and starts. As the trains toss riders about, some struggle not to toss their cookies, The Washington Post reported. Todd Usher, 28, rides Metrorail regularly between the Pentagon and Farragut West stations, a 10-minute ride on the Blue Line according to Metro's schedules. But he has suffered such motion sickness from the "full-throttle and slam-to-a-stop" train rides that he's had to hop off early for fresh air or risk getting sick on a train and causing more delays. Another rider told The Post she's so sick of the nausea, she commutes on VRE from Springfield to Union Station rather than ride Metro. As if it wasn't bad enough with all the unusual smells, uncovered coughs and sneezes, and you-don't-know-where-it's-been handles and seats. Just imagine what it'll be like when swine flu starts spreading through the tunnels. It's not just the manual operation, Metro officials told The Post. The tragedy in June led to the reconfiguration of trains. Different model cars are attached to each other, which can mean out-of-sync breaking systems.